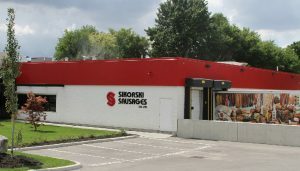 Sikorski Sausages was founded in 1983 by Marek Sikorski, who believed that people will always appreciate quality craftsmanship and superior deli products. Marek knew the strong connection and comfort that people can feel when they are able to enjoy a meal that reminds them of their heritage – a resident of Poland, he had come to Canada in 1981 only shortly before learning that his country had been placed under martial law. Finding work as a valet at the historic Valhalla Inn located in Toronto, Marek would often travel to the farmer’s markets in London, Waterloo, and other towns on the weekends in order to sell the local people foods and treats from their homelands that were difficult to come by in their local areas. Eventually, he and his wife decided to relocate to the city of London and open their own store there, the Baltyk Delicatessen. Marek knew that supply would always be a problem for his store – there simply weren’t a lot of people who were willing or able to bring over the foods that he wanted to provide to his customers. Never one to give up when a job needed to get finished, Marek simply began hiring butchers and contacting local farms to make his own supplies. 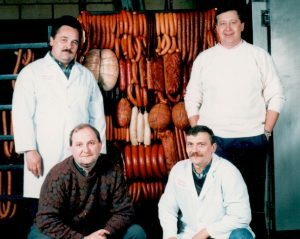 At first, Marek and his family would prepare the meats in their own home before taking them to their store to sell. Eventually, however, Marek began supplying not only his store, but all of the other stores in the area as well. By 1990, the small storefront that had been the start of everything had expanded four times over into a full-fledged meat processing facility. One of the things that helps to set us apart from some of the other companies in our field is our dedication to genuine, old-fashioned recipes that reflect our Polish background and heritage. We make our bacon from the leanest cuts, so that there is less fat and the slices keep their shape. Our hams are never pressed or formed into molds: we tie the largest and most flavorful pieces of pork together with string and hang it in our smokehouses until it is perfectly finished. We still mix all of our spices and stuff our sausages by hand, to make sure that we can maintain proper control over the finished product. Our meats and sausages are sold to grocery stores and delicatessens all over Ontario, and we have been recognized for our quality in multiple categories by the Ontario’s Finest Meats Competition in all three of the years that we have competed. In 2008, we completely overhauled and revamped our facility to be state-of-the-art, with food safety as our priority. We have been diligently working to make sure our products do not contain allergens like gluten or soy, and we have made certain that you can search our website to find the nearest store that carries our food and to see which products are safe for your family. At Sikorski’s, we see our meats as a premium product, and we believe that just like bread, milk, or any other food, meat needs to be fresh in order to be at its best. Our personal fleet of refrigerated trucks are on the road delivering our meat every day, and we try to make sure all of our suppliers are re-stocked every week with new, fresh supplies. We will not compromise on the integrity of our ingredients and the quality of our meat. 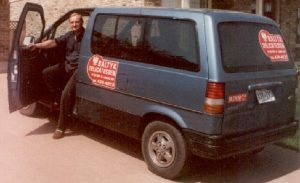 Just like Marek Sikorski believed when he started our company, we still think that people appreciate the kind of time and care that we put into our products. We work very closely with our clients, which are primarily family-owned European style delicatessens. Our sales staff have extensive experience in suggesting the best range of products to match each store’s unique customer base, and they are willing to work closely with their customers to make sure that we are providing the best products and service available. Our expertise includes setting up new deli counters… and reviving struggling ones. We’re proud of our success and growth, which have been built on customer service, and customer loyalty to our incomparable products.